Modern cigar ashtray with reduced minimalistic design. Ashtray comes with supports for cigars or cigarettes. The heavy construction of solid crystal sets it apart at first sight as a real premium product. Very nice product, glass of good quality. 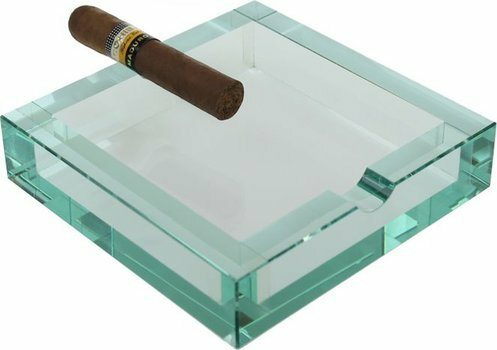 One must still take care how the cigar is placed; other ashtrays have a longer notch for large cigars. Besides this, it responds perfectly to its practical and aesthetic function. Affordable ashtray with stylish design.